If you drive a car, then you've invariably experienced the insanity and frustration that potholes can cause. Roads made of asphalt aren't perfect. They crack and crumble. The longer they go without repairs the more damage they inflict on our cars (and insurance policies). One construction company in the Netherlands thinks it has the solution: roads made of recycled plastic from the ocean. 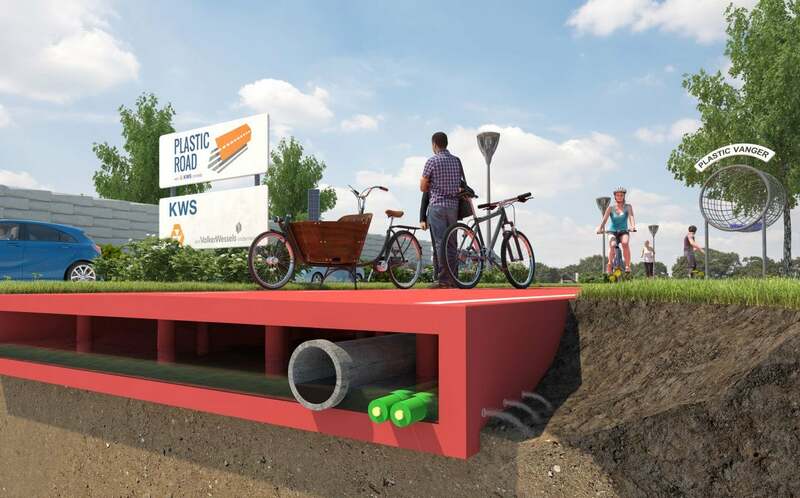 Scientists at construction firm VolkerWessels are collaborating with the city of Rotterdam in Holland to build prototypes of these pre-frabricated strips of road called PlasticRoad. The next step in the prototype phase is to test it in a laboratory to make sure it’s safe in wet and slippery conditions, VolkerWessels says. If all goes well, the company hopes to lay the first fully recycled roadway sometime within three years, Rolf Mars, the director of VolkerWessels’ roads subdivision, KWS Infra, said in a recent interview with The Guardian. One can only imagine how much more quiet rubber tires on plastic roads would be than on asphalt. And, sayonara potholes. Good riddance.